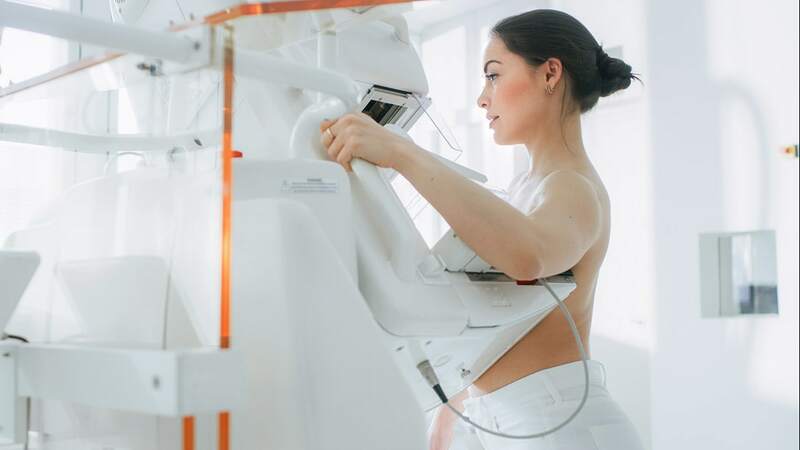 Being uncomfortable during a mammogram or mammography exam is the number one reason many women avoid getting them, according to the American Cancer Society. Fortunately, mammography machinery has significantly improved in recent years, and these advances in technology make the entire process more comfortable than ever before. Here are some more tips to make your mammogram experience more comfortable for you. Nervousness will make your discomfort worse, and this includes pain sensation. Relax by doing some deep breath work before positioning your breast in the machine. This will reduce your discomfort and make the exam more successful. A reputable technician from any Provo clinic specializing in radiology will make you feel as comfortable as possible. Keep in mind that pain is typically a result of twisting your body, which could result in pulled and overlapping tissue. In the event that you are having an especially difficult time relaxing regardless of your position, tell the technician immediately. In addition, remember that you will only need to keep your position for a short time. Some women experience back pain following their mammogram. The reason for this is that turning your feet and hips will lead to twisting that, in turn, will result in breast pain and pain in the lower back. So, instead, keep everything faced forward and only turn your head when getting into position. This stance will likewise enable you to place yourself closer to the mammogram machine and ensure more effective scanning of your breasts. Your breasts are usually tender and sensitive before your period and while you are on your period due to fluctuating hormones. And when you add the compression that comes with a mammogram, you will most likely feel extra pain and discomfort. With that said, schedule your exam when your breasts are not sensitive. If this is not possible, take an over-the-counter pain reliever at least 45 minutes before the exam. The mammogram is aimed at not only looking for signs of breast cancer but assessing the integrity of your breast implants as well. Fortunately, newer mammogram machines can make this process more comfortable for those with implants. Expect the technician to move your breast implants about in order to get the clearest view of your actual breast tissue. Research indicates that plenty of women still do not undergo regular mammogram exams. You have to keep in mind though that early detection of breast cancer lowers the risk of dying from it by up to 30%. And mammograms are very effective at detecting breast cancer early when you still have the chance to treat the disease more easily. So do yourself a favor and schedule a mammogram as soon as possible. Just remember these tips to ensure a more comfortable experience during the mammogram.